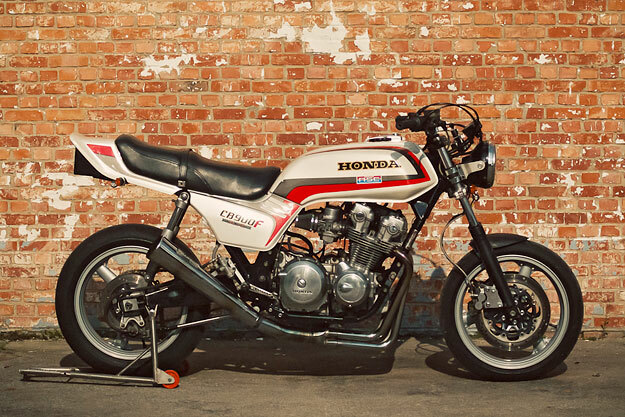 Mention a ‘Honda CB750 custom’ and you probably have a clear mental picture straight away. But I’m guessing it’s nothing like this. 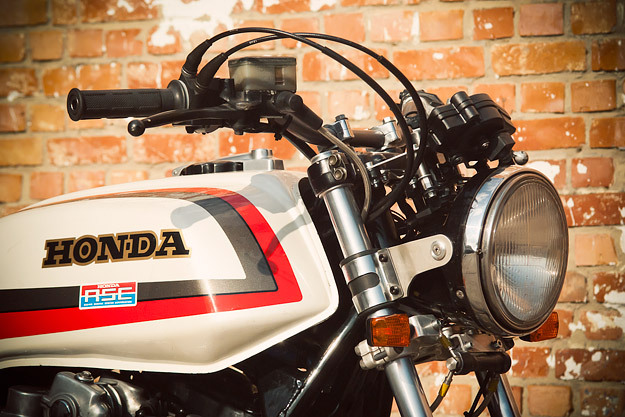 We’re looking at a 1979 CB750F called ‘Pearly Spencer’—a tribute to racer Freddie Spencer. 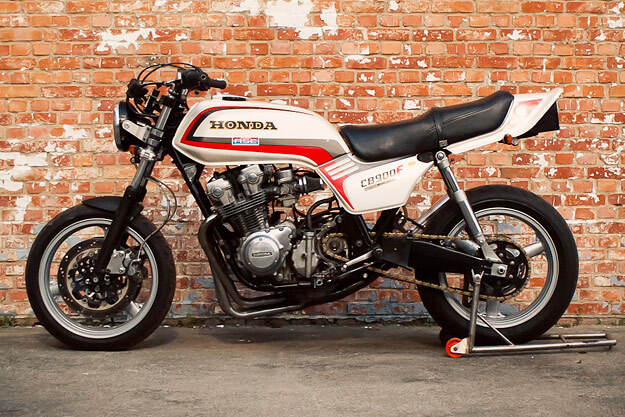 It comes from The First Notion, a small Belgian shop run by friends Dominique Quintelier and mechanic Joris De Vos, who has worked for several motorcycle racing teams. “Our goal is to give the customer a classic bike with modern handling and roadholding,” says Quintelier. 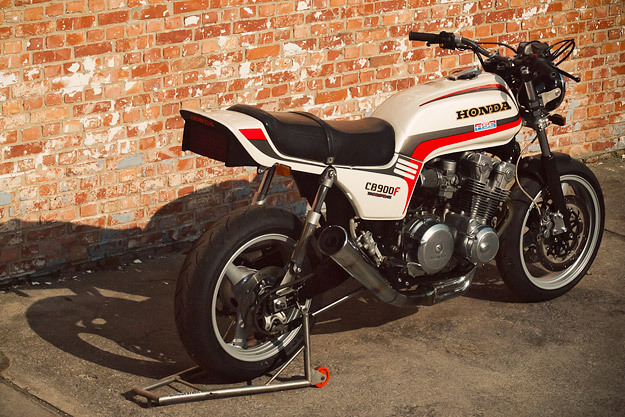 The CB750F was a terrific motorcycle straight off the showroom floor, but The First Notion have upped the game without breaking the bank.